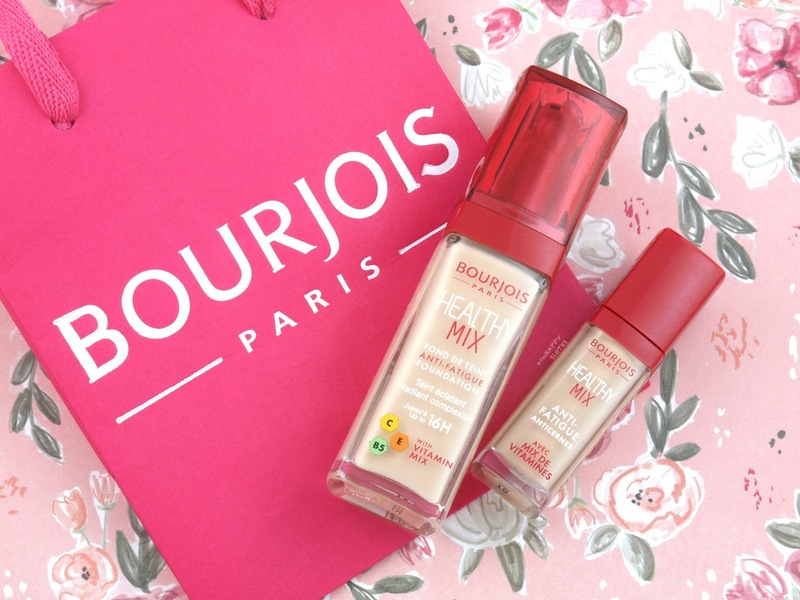 Packaged in a nice and sturdy glass bottle equipped with a pump dispenser, the Bourjois Healthy Mix Foundation is formulated with Vitamin C, E, and B5, which promises to brighten and awaken tired-looking skin. The range is available in seven shades and I have here the color "51 Light Vanilla", which is a neutral ivory that oxidizes to a warmer light beige. In my hand swatches below, the product appears a little sheer and thin but the formulation is actually quite pigmented and creamy. 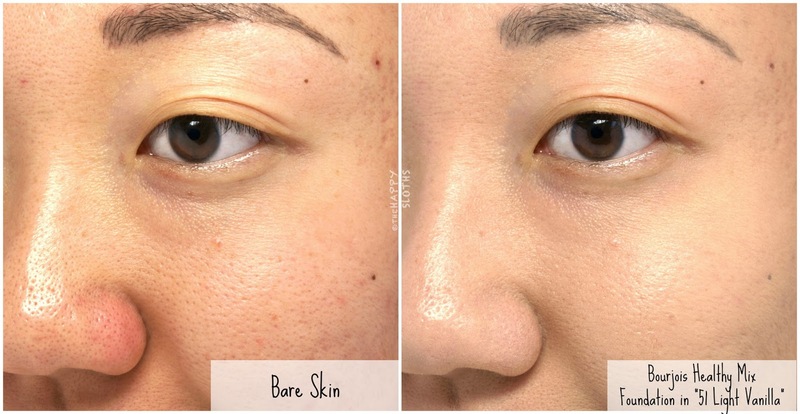 The application is nice and smooth and the coverage is medium to full. As you can see, it did a great job at covering the redness around my nose. 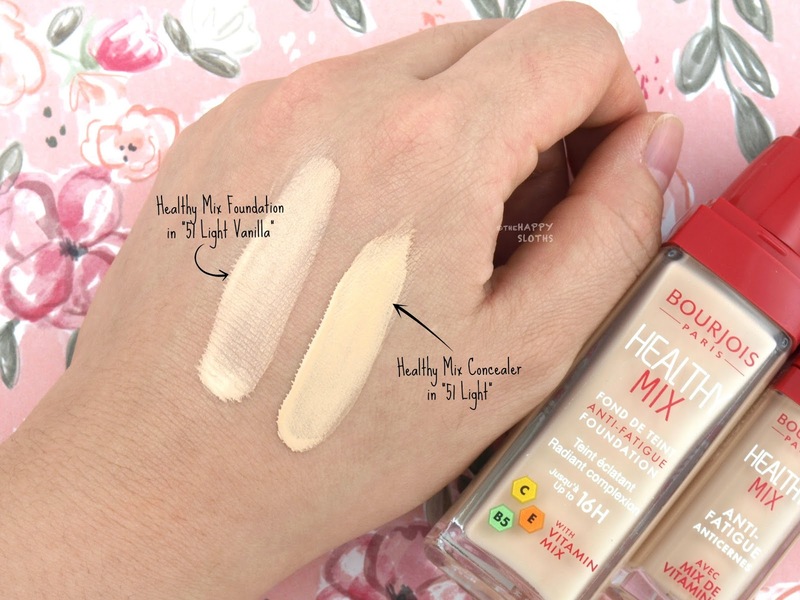 Bourjois Healthy Mix Anti-Fatigue Foundation in "51 Vanilla"
The foundation has a natural satin finish and it minimizes skin imperfections without settling into fine lines or emphasizing pores. In terms of wear, the Healthy Mix Foundation is also great. At the end of the day, there were some fading and creasing around my nose but no excessively greasiness or pilling. So all in all, this is a solid mid-range foundation. The color selection is definitely limited and the pigments did oxidize a bit but the overall application, coverage, and longevity are impressive! Available in only three shades, the Healthy Mix concealer is housed in a short and chubby plastic tube with a classic doe-foot applicator. Although the packaging looks small, you get a generous 7.8ml of product (versus the normal 6ml). 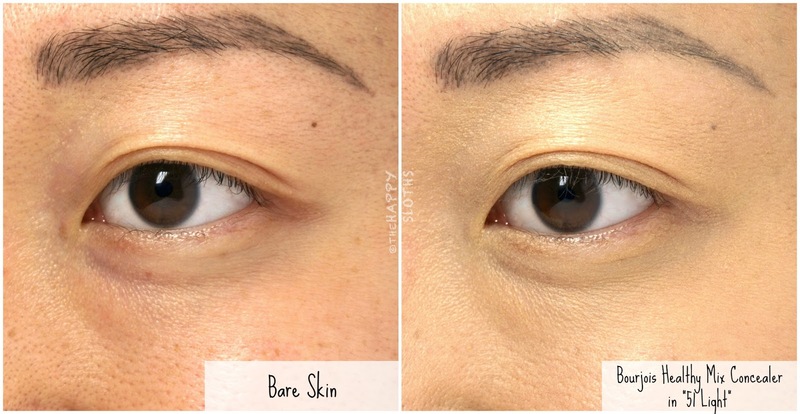 Containing all the same skin-loving ingredients as the foundation, the Healthy Mix Concealer is specifically designed to brighten and camouflage undereye circles. I have here the lightest shade, "51 Light", which is a light ivory with a warm undertone. The formulation provides a medium to full coverage and while it's lightweight and easy-to-blend, it looks a little dry and patchy on certain areas of the face. Because I have oily skin, things actually balance out after a few hours and the concealer wears nicely throughout the day with minimal fading and creasing. However, this is not a concealer I would recommend for combination or dry skin and the limited shade range is definitely a big drawback. 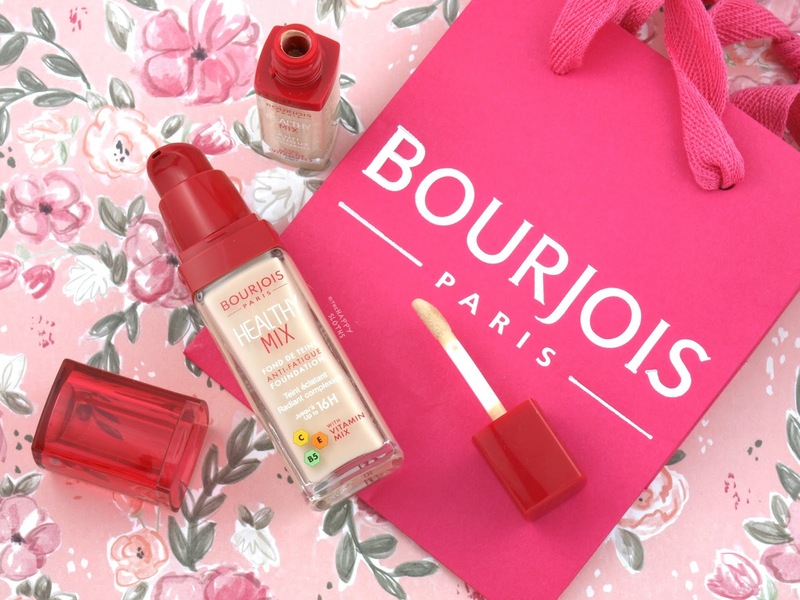 Bourjois Healthy Mix Anti-Fatigue Concealer in "51 Light"
Have you tried anything from Bourjois? What do you recommend? Share with me in the comments below, I'm definitely looking to explore more of this brand!